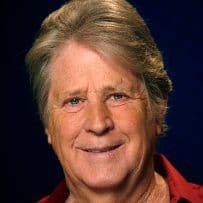 Pop music has never seen anyone quite like Brian Wilson. One of the greatest composers of the past century, his songs mapped out the pop universe and proved that the possibilities of rock & roll are endless. But for someone whose music celebrated summer and good times, Brian's early life was anything but sunny. He grew up in the suburbs of California - his childhood scarred by an abusive father. 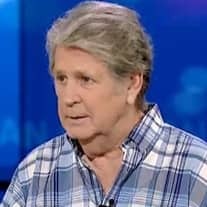 He found his escape in music - and along with his brothers, his cousin and a buddy formed The Beach Boys. In the '60s, 'The Beach Boys were America's band and until Beatlemania, there was nobody bigger. Yet Brian retreated into himself to follow the music he heard in his head. In 1966, his genius hit a new peak with 'Pet Sounds', a record of astonishing beauty that inspired Lennon & McCartney to swing for the fences on 'Sgt. Pepper'. But when 'Pet Sounds' exploded, the pressure to top it proved too much. Brian grew fragile, his life deeply affected by depression, drugs and a condition known as schizoaffective disorder. Brian hears negative voices in his head - voices that he tries to drown out through music. Thankfully, after years of treatment, Brian's talent has survived. In 2004, he completed 'Smile', his long-lost pop masterpiece. Now, he's reimagined a set of classics by Gershwin, one of his earliest music idols. And at 69, he's set to kick off his first-ever Canadian tour.